Experience the coffeemaker that was selected by the Illinois Institute of Technology as one of the 100 best designed products of modern times. 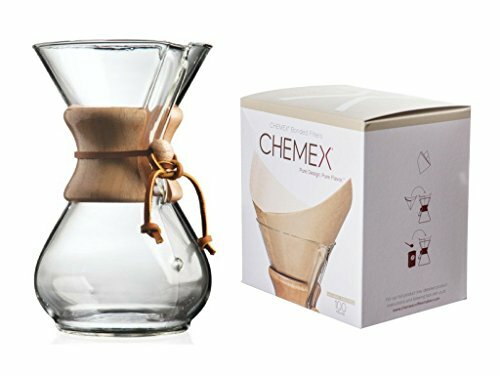 The Chemex Classic glass pour-over coffeemaker is elegant in design, and delivers a flavor experience not to be missed. Pair it with a 100-count box of Chemex natural square filters and you are ready to brew your perfect cup!